INDUSTRY.co.id - Jakarta - Following the signing of a Memorandum of Understanding as well as a Cooperation Agreement with the Ministry of Home Affairs last week on Facilities and Implementation of the Social Security Employment Protection Program for Village Government Apparatuses, this time BPJS Employment is actively socializing the employment social security program in Rakornas (National Working Meeting). As it is known, this established partnership enables all village government officials scattered in 74,957 villages throughout Indonesia to obtain labor social security protection from BPJS Employment to be safe and comfortable. 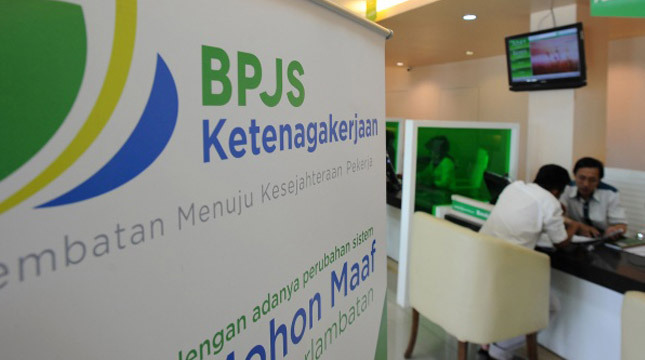 Director of BPJS Manpower, Agus Susanto said, "We are here to ensure the welfare of all workers in Indonesia can be realized, including the village officials throughout Indonesia," said Agus in Jakarta, Monday (14/5). This socialization is a manifestation of the seriousness of the Ministry of Home Affairs in providing protection to village officials. "Through the Directorate General of Village Governance today, we conduct socialization and technical guidance on an ongoing basis of the benefits obtained if protected in the BPJS Employment program," explained Agus. In this activity also submitted the proof of participation of BPJS Employment by Agus Susanto and witnessed by the Minister of Rural and Disadvantaged Regions and Transmigration of Indonesia, Eko Putro Sandjojo, symbolically to 3 village officials such as M Jamil from North Aceh District, Tukiman from Sukoharjo Regency, and Hopni Ajoi from Tambraw District. All three are head of village with membership in May 2018. This Village Government Apparatus will be protected by the Work Accident Insurance (JKK), Death Insurance (JKM) and Old Age Guarantee (JHT), whose contributions are paid through the Village Fund Budget (ADD). Agus confirmed, we have 325 service offices throughout Indonesia who are ready to provide services to all village officials. In addition, with the infrastructure and digital channels we have, all have been prepared to provide optimal service for all participants ", explained Agus. "And do not worry, the service we provide does not differentiate between the participants with each other.If hopefully with socialization activities on this day, we can be one step closer to realizing comprehensive protection to all workers in Indonesia in accordance with our vision and mission", said Agus.